If you are relatively new to my blog then you may not know that I have recently lost over 40 pounds using Weight Watchers Online. I began in January 2007 after I decided that I was over being big and I was going to do something about it. After many conversations, I decided to try Weight Watchers. I knew that any type of "diet" that made me give up something like carbs, chocolate, ice cream wasn't going to cut it for me and WW didn't do this. So it was online I went to sign up for Weight Watchers Online and their Flex Plan. The Flex Plan gives me so many points a day depending upon my weight and movement throughout the day, plus I get 35 extra to use throughout the week as I please. Perfect!!! Anyways I stuck with it for about a year (you can follow my journey by clicking on Weight Watchers from my chocolates varieties list in my sidebar), lost 40-some pounds and then found myself becoming very comfortable with how I looked. I could wear a size 8, run without being winded, had people commenting about how great I looked, and I was very happy with what I had accomplished. So I found myself counting less and less until I finally unsubscribed from WW and decided to take the summer off. Now that summer is over and school is about to begin (let's not talk about it okay!!) I have decided to go back on the plan to lose the last 20 pounds and reach my final goal. Yep, I ended it with a gain. Yuck! Now I have to confess something even worse. Since then I have gained 9 pounds from the summer. Even yuckier!! Can we say no exercise? Lots of ice cream? Way too many bbq's? Uh yeah. Not that I'm making excuses because I face it...I didn't exercise, I didn't count points, and I didn't think enough about what I was eating. Therefore I gained weight. But no more! I feel my pants getting tighter, my tummy getting flabbier, and it doesn't feel nice at all. I remember as I was losing weight I would always have people ask about how I would make sure not to gain it all back. I was insistent that I would NOT let that happen and explained that I wanted to keep a 5lb wiggle room. As I was nearing the 5lb over my goal weight I would go back into losing mode to get back on track. That way I would stay right within my comfort weight range. I'm embarrassed to admit that I have exceeded my wiggle room by 4lb, not to mention wasn't even at my goal weight to begin with. Week 1 (Take 2) 151lb / -1lb / - 34lb. I know it's not much, but considering that I had very limited food in the house, it's that wonderful time of the month, and I was somewhat inconsistent with the points I am very pleased. I am aiming higher for next week and here are a couple goals that I will be working towards in order to make it happen. Count all points!! Every day for breakfast, lunch, dinner, and snacks. Exercise daily for at least 15 minutes. Use Wii fit, walk outside, run on the treadmill...MOVE. I know this week will be better and I can't wait to see my results!! 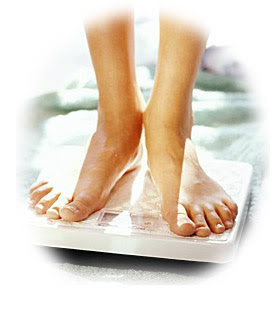 Saturday is my weigh in day and when I will post my weekly results. I would love for you to come by and hold me accountable!! Congratulations for taking charge again! So glad I am joining you on this journey! Good for you. I am going to have to try Weight Watchers some times because I have also gained a lot of weight lately too. Congrats on your weight loss so far....that is a huge accomplishment! Good luck with your new goal....I will be here to cheer you on definitely! Oh Mel, I am totally rooting for you!! And you can root for me as well, as I embark on the same adventure!! I HATE weight problems and food restrictions....YUCKO! Unfortunately for me though, I have about 50 to lose.....even yuckier!! I wish you the BEST of luck! Great job! We can encourage each other and keep each other accountable. I am looking forward to getting back home and really focusing on it. Good luck!!! I'm rooting for us! We've been following each other on Twitter. Just stopping by to encourage you. You can do this! I am so excited for you. Your renewed committment is totally motivating me too! I actually just made lifetime last week, but still have 10 - 13 pounds still to lose to hit my own personal goal. I was thinking of taking some "time off", but know that it would be a disaster for me. So, I am committing to stay right here with you and continue to be motivated by your success and mine! Go you!!! Congrats! Good for you for taking charge of your body. I REALLY need to do the same - guess I should check into WW. michael and I are going to check out a gym today b/c we both REALLY need to exercise. Hopefully that will help us. You go Mel! I'll be there with you as I try to drop 20 before Hubby comes home. Congratulations on the loss!!! I've had a stable summer (no losses but no gains). I'll be getting into gear once school starts next week.